You might recall that last year I gave away a R300 voucher on my blog on behalf of Spar and their range of Freshline products? I bought myself a whole lot of delicious soups and Dave and I enjoyed them for lunch at work. 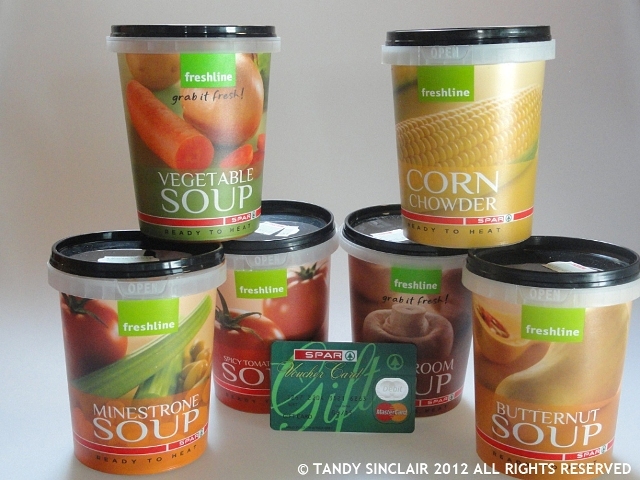 This year I am doing another Freshline Spar Give Away. This year I decided to spread my voucher out over a period of time as I like to buy fresh ingredients as and when I need them. 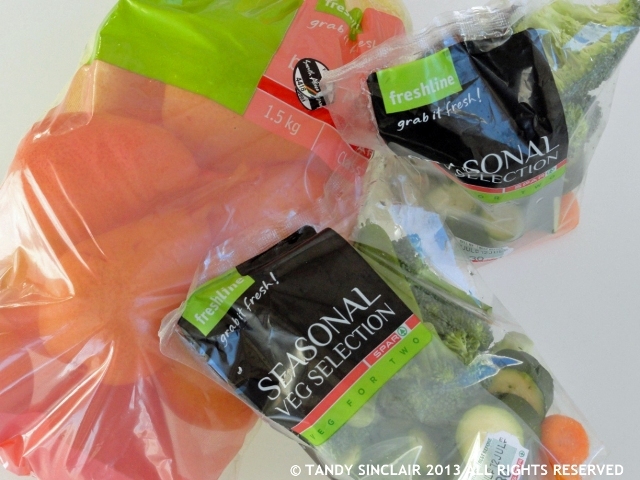 I got two packets of seasonable vegetables and a packet of pears. We are having guests for dinner and I am going to make poached pears for dessert. I am giving away one gift voucher to the value of R300. I will post the voucher to you via registered mail. Once the voucher has been posted I will not be responsible for it. Disclosure: I was given a R200 voucher to host this give away. This post is in line with my blogging policy. Give Away won by Tracy Jacobs. Too late to enter, but I was lucky enough to win last year! I would make a pear upside down pudding, I think, nice and sticky and caramelised. Coat a round oven pan with butter and sugar and place on low heat on hob. Add halved pears cored, and core side up. When sugar melts turn heat to medium and cook further 30 mins. Place a sheet of shortcrust pastry on top of apples and tuck into inside of dish. Prick, brush with egg yolk (beaten) and bake for 20 mins. Turn upside down on platter and serve with home made vanilla custard. I would use my mom’s recipe for pears in red wine http://wp.me/pT5Tj-PY – I posted this for one of your previous challenges. great comp! I would make my Muscatel poached pears with a pistachio and mascarpone filling.